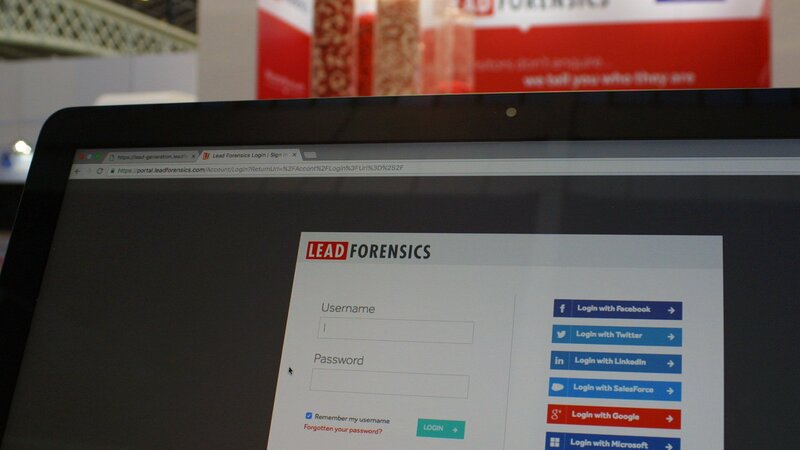 Leading B2B lead generation, marketing and insights platform provider Lead Forensics, attend trade shows and exhibitions to showcase their software. They are a vibrant and energetic brand and events allow them to effectively engage with their audience. Livewire inherited an existing stand built by a previous provider. 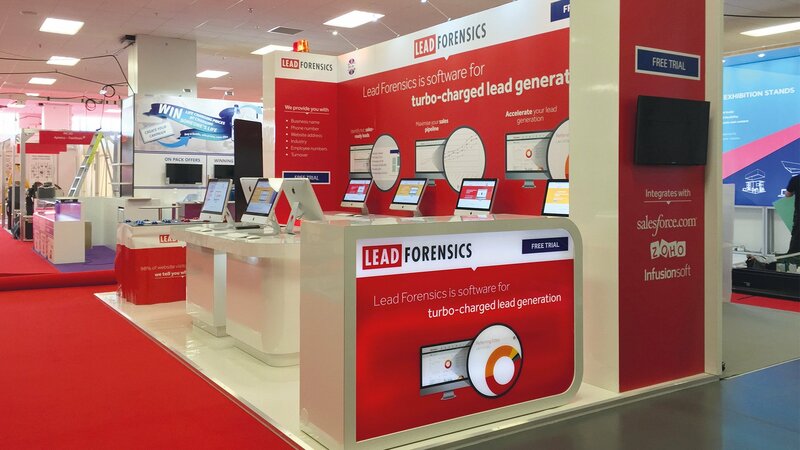 The stand design is modular and adapts to different formats that allows Lead Forensics to attend multiple shows each year without the need to build a new stand each time. We refurbished the stand initially to bring it back its original build state and continue to maintain it on an ongoing basis. We developed a solution to a specific problem for the stand flooring, Lead Forensics were quite particular with their requirement for a seamless high gloss white floor covering which we have mastered. Part of the ongoing management includes secure storage, maintenance, installation and breakdown for each event.